The ousted chairman of Tata Motors, Cyrus Mistry has revealed that Tata Motors and Tata Motor Finance has suffered a huge loss of nearly Rs. 4,000 crore. Cyrus has questioned Tata Motor’s practice of lending without any risk assessment for Tata Nano and other small commercial vehicles. Tata Motors recently released the 2017 annual report signed by the current chairman – N Chandrasekaran. The statement of Cyrus comes following the release of the report. Mistry claims that he had highlighted various areas of concern and potential conflict. All the claims made by Mistry had been backed by documents. Mistry says that ignoring his claims caused the company such a huge loss. The facts presented by Mistry on the Nano and small commercial vehicle project were ignored by the company. Cyrus also says that that inadequate investment in the CV product pipeline has increased the losses. The Nano is claimed to be a brave project as it was not profitable for multiple years. Mistry says that under his regime, many improvements were given to the Nano but it did not bring any change. The Nano received an openable tailgate, power steering, and an AMT version. After the situation did not improve for the Nano, a unanimous decision was taken to discontinue the Nano production. But nothing has happened till now. 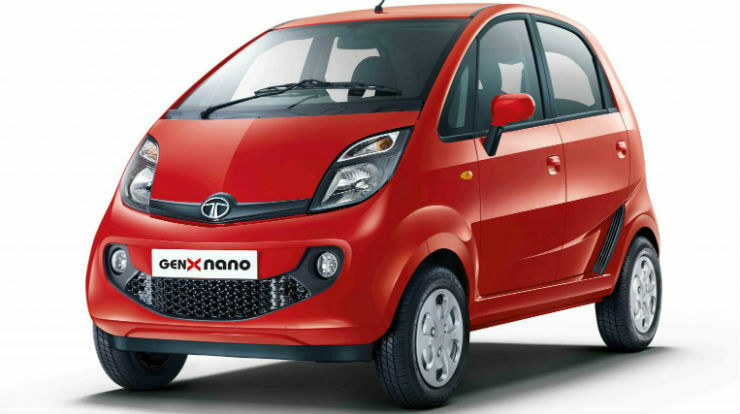 Will Tata discontinue Nano in the future? Tata Motors Chairman, N. Chandrasekaran has said that the company is working to improve the cost structure across various platforms and introduce new models and platforms in the passenger vehicle business. The chairman has also said that Tata needs to take a holistic view of the on the Tata Nano before deciding its fate. He has also added that the last few vehicles launched from Tata have done well in the market, but the sales need to pick up even more.